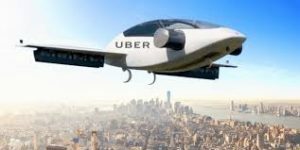 From ride sharing to ride hailing and now a flying taxi service, Uber has been one of the darlings of wealthy investors looking to control the future of transport. The company has been very successful at raising money with a futurustic look at transport industry. Investors have kicked in over twenty-four billion dollars since the company was founded in 2015. This happened even though revenues rose almost forty percent during the year to almost four billion, thanks in part to UberEats. In the latest quarter of 2018, Bloomberg reported a staggering 1 billion dollar loss as it continued expansion of the business into freight shipments, bicycles and scooters! It’s investors seem to have an appetite for huge losses before they go public some time in 2019. Investors are, by nature, greedy people, most of them looking for high multiples on their investments and quick turnarounds. A few of them are more willing to take on higher risks and be more patient for returns on their investments and hedge their bets on the Uber concept of futuristic transport. Their hopes seem to be pivoted on the impending IPO expected in 2019. If this pans out, Uber could be valued as much as $120 billion–up from the $76 billion at which it’s currently valued. Given this scenario, it’s prudent to ask at this juncture, “What happens when a big company like Uber bleeds too much from excessive losses? How long will their investors hold off before pulling the plug?” Shareholders reaction, generally veers around to cutting costs. That’s where Uber partners and driverless cars come in. Will they be at the sticky end of the stick if this happens? That’s a billion-dollar question that only the future will be able to answer! What Happens When Uber Goes Driverless? One thing is for sure, technology always wins. It’s the unstoppable tidal wave that disrupts the landscape once it arrives. Let’s not be naive. 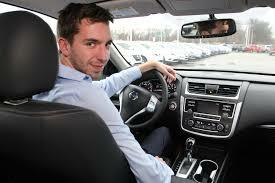 Driverless cars are coming whether we like it or not! So it’s fair to ask : “What happens when Uber decides to switch over to driverless. vehicles?” While it is not likely to happen in the very near future, it’s something to ponder about. Replacement of human partner drivers in their business model will be a huge cost-saving for the company. Like telephone operators and type-writers, Uber partner drivers are destined to be a thing of the past. So Uber partners, get ready for your future now! We should not knock success. Riders, especially the milliennials and generation Z folks seem to prefer Uber over taxi services. Hence the rise of their success rate. The reasons for their preference are too many to explore in this article. Uber has also managed to usher in it’s new concept of transport with great success. This despite the numerous challenges they have had to overcome expanding into different countries, handling customer complaints, catastrophic failure of their driverless car tests. Now there is growing apathy among their driver partners who have see their revenues drop as more participants come on the scene and, what’s worse, driver share of the revenues are out of their control. Comments by Uber drivers are mixed with the majority seeming unhappy with their plight. According to comments posted online, it’s not a stable job and depending on the locality, earnings are often below minimum wages. Despite going to great lengths to make their riders comfortable and satisfied, they worry about ratings. They have little control over how customers value their efforts. The bar is high at 4.7 out of 5.0 for ratings. If they fall below a threshold, they get banned! 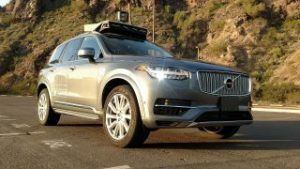 Uber drivers should be concerned about their future with this company, especially as Artificial Intelligence (AI) advances and we see the realization of driverless vehicles. This may sound like scare mongering but the writing is on the wall as we see the recent trials of new transport modes being conducted by Uber in major cities. The proverbial Pandora’s box has been opened. Ride sharing is mainstream and the concept is likely to live on and possibly flourish as the sharing idea gains further foothold worldwide. Alternative opportunities are in the making as entrepreneurs continue to push for better, cheaper and faster ways to deliver services in just about every industry. One such service already on the horizon is ride sharing in the tourism industry. The company Wyzgo vacations has launched their initiative to lure Uber drivers to join their team to provide guiding services to tourists. By offering tour guide services, these Uber drivers can make a lot more!